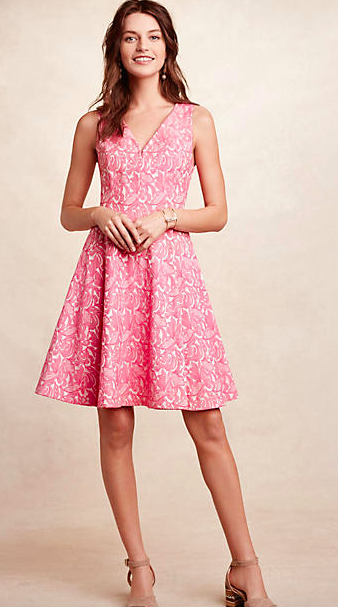 We love the pretty pink shade in this Claribel Dress from Anthropologie, seems like a perfect shade for an Easter Sunday celebration. Traditionally, when we think of Easter dresses, we think flowers! 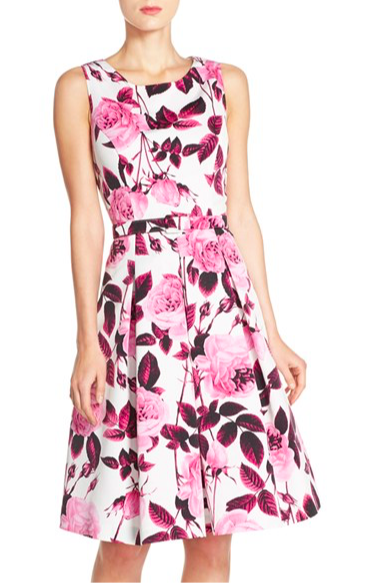 Here’s a very feminine and lovely option from Nordstrom and Eliza J, the Print Faille Fit & Flare Dress. Whitney told us, “be sure to include the Mia Strapless Dress from Anthropologie in the write-up, I’m obsessed with it!” We can see why! It’s super cute and probably very flattering on. You have to take a gamble with it because it’s Internet-only ordering but there’s always returns if it doesn’t work out. 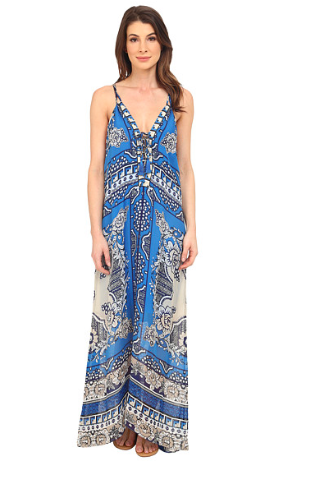 This Hale Bob Floral Silk Maxi Dress from Zappos is just *gorgeous* and could definitely be re-worn during the summer months. If your Easter Sunday is going to be chilly, pair it with this Fuzzy Shrug in Ivory – adorable! 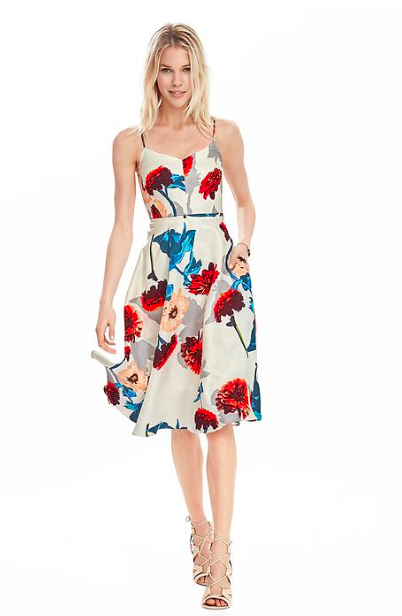 For a classic Easter dress choice, this Floral Strappy Dress from Banana Republic is perfection. Be sure to check out if there’s any good coupon codes going today when you click through on Banana’s site – they run them often. Shabby Apple always has the most adorable vintage-y looking dresses. 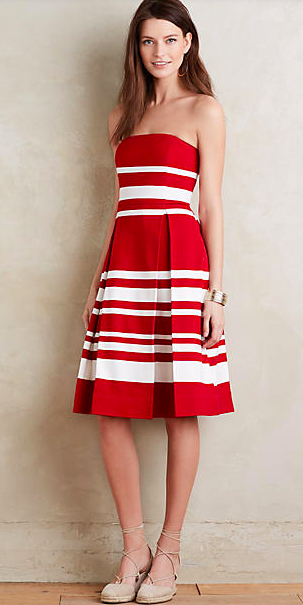 This Sofia Dress is fitting for an Easter Sunday brunch. And we also love this Red Floral Ornament Dress from Shabby Apple too! Great price. All lovely. 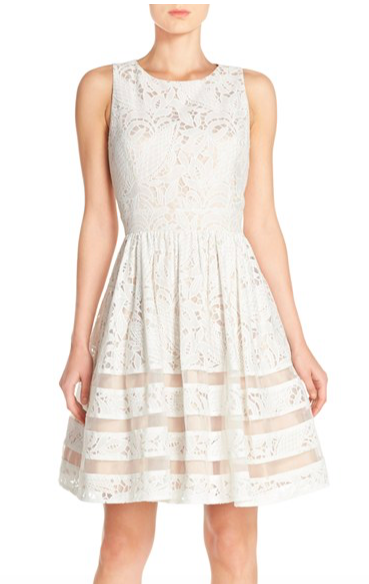 If I had to choose two, I select the Nordstom lace dress. . so elegant. Also ,the MIa strapless dress. Stunning, simple, classic and smart.